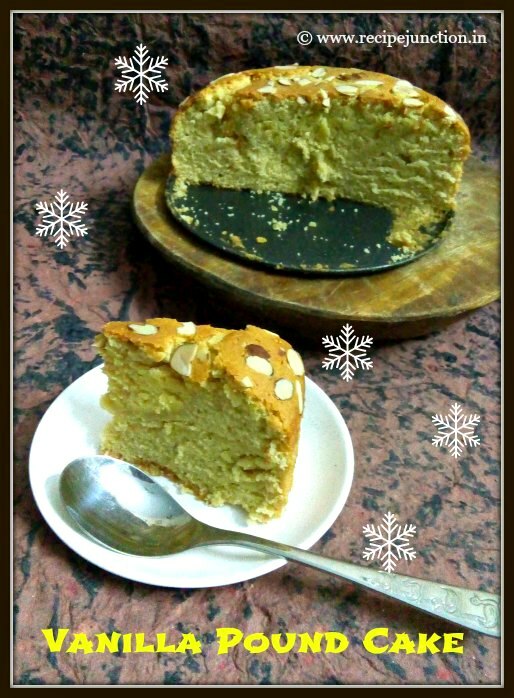 Pound cake believed to be a northern European dish, that dates back to the early 1700s. 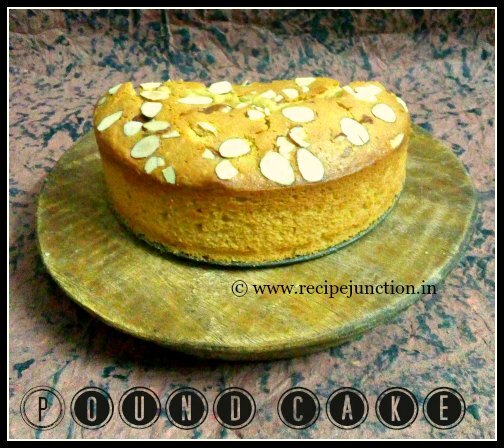 The name "pound" was given to this cake because the original recipes contained One pound each of butter, sugar, egg and flour and the result was always a softest textured crumbly cake which will melt in your mouth in no time. 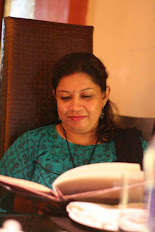 But nowadays, this proportion is not strictly followed because of health reasons, but still it has to have a fair amount of butter and eggs to get a soft, moist and crumbly texture with a lovely golden brown crust. There are numerous variations of the traditional pound cake, with certain countries and regions having distinctive styles. These can include the addition of flavouring agents, such as vanilla to make a vanilla pound cake, lemon extract to make a lemon flavoured pound cake or orange extract to make Orange Pound cake and so on. Though I have tried a pound cake using buttermilk Pound cake which gave an excellent result, I wanted to try the traditional way of making Pound cake and I have tried this recipe from Joy of Baking, where she has not used the usual way of mixing ingredients, but some "one bowl" or "quick method" way(also known as "dump cake" method), where we mix all the dry ingredients first, then add butter and egg mixture and then cream the batter. This method of mixing reduces the gluten formation in the flour and gives more softer and more tender texture. But one thing you have to remember while following this method is to have all the ingredients in room temperature and and have to follow the exact instruction of mixing. Pound cakes are usually made in bundt pan or in a loaf pan. Vanilla extract : 1 and 1/2 tsp. Preheat the oven to 180 degree C. Grease your baking pan with butter or spray, sprinkle with some flour and dust off excess flour from the pan. In a medium bowl, whisk together the wet ingredients - eggs, milk and vanilla extract. In another big mixing bowl, take all your dry ingredients - flour, baking powder, powdered sugar (I always powder the sugar in my dry grinder and then mix in batter) and salt. mix them all for 30 seconds. Add the butter and half of the egg mixture. Mix on low speed until dry ingredients are moistened. Increase the mixer speed to medium and beat for one minute to aerate the batter. Gradually add the remaining egg mixture, in 2 additions, beating about 30 seconds after each addition to incorporate the egg and strengthen the cake's structure. The batter should be creamy texture. Scrape down the sides of the bowl and carefully pour into your prepared baking pan. Smooth the top with a back of a spatula and carefully sprinkle some slivered almonds on top. Place the pan in the middle rack of your preheated oven and bake for 55-60 minutes or until a wooden toothpick inserted in the middle of the cake, comes out clean. When done, remove the pan from the oven and place on wire rack and cool for 10-15 minutes. Then remove from pan and cool completely. 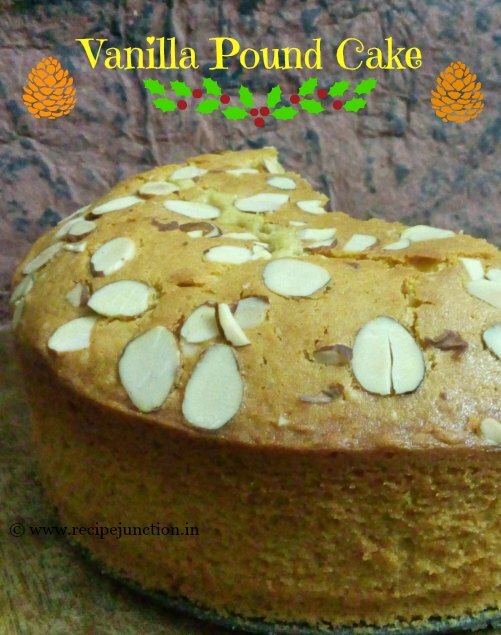 As this cake is quite rich in eggs and butter, but this can be made for any celebration once in a while or it's a perfect accompaniment with your evening tea or coffee or for a friend's meet up. As holiday season is coming, try to make this cake for your family and enjoy this melt-in-the-mouth cake with your whole family. Your family will love it for sure.